I know that this is going to sound hyperbolic and absurd, roll your eyes at me if you must, but the moment that I stepped out of my car in the parking lot outside of the Abbey of Gethsemani in Trappist, Kentucky, I immediately heard the birds in the air and the trees that populate the acres of beautiful land that the abbey sits on sing more clearly and and beautifully than I’d ever noticed anywhere before. I felt like I had just stepped onto the set of a Snow White film and soon the squirrels and bunny rabbits would be running up to me carrying freshly plucked flowers and ripe fruit for me to snack on while we all speak to each other in our universal animal language. But I guess, in a way, that’s sort of the point of this sacred space. Not to feel like you’ve been sucked into a Disney film, but to feel like you’re separated from all of the hubbub and chaos of modern life and are able to find a sort of serenity and solitude that allows you to commune with God, nature, and your very self, in a completely different language. 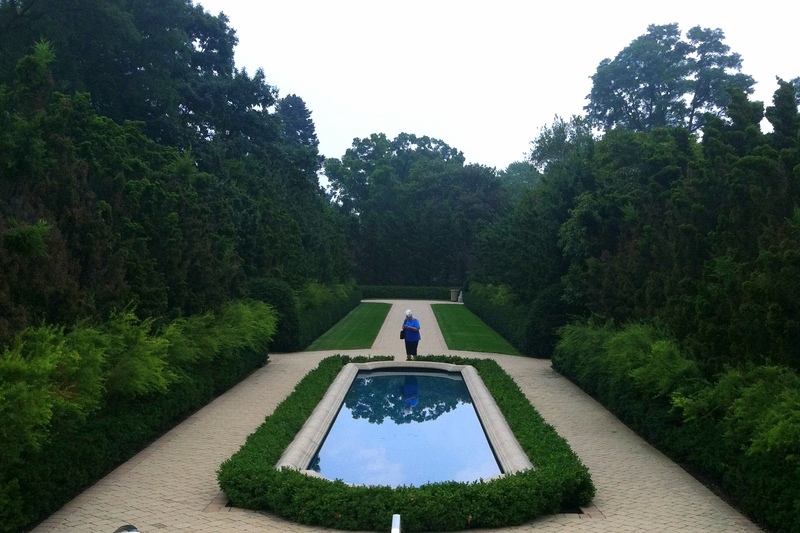 Specifically for the monks and others who retreat at this monastery, that language is silence. 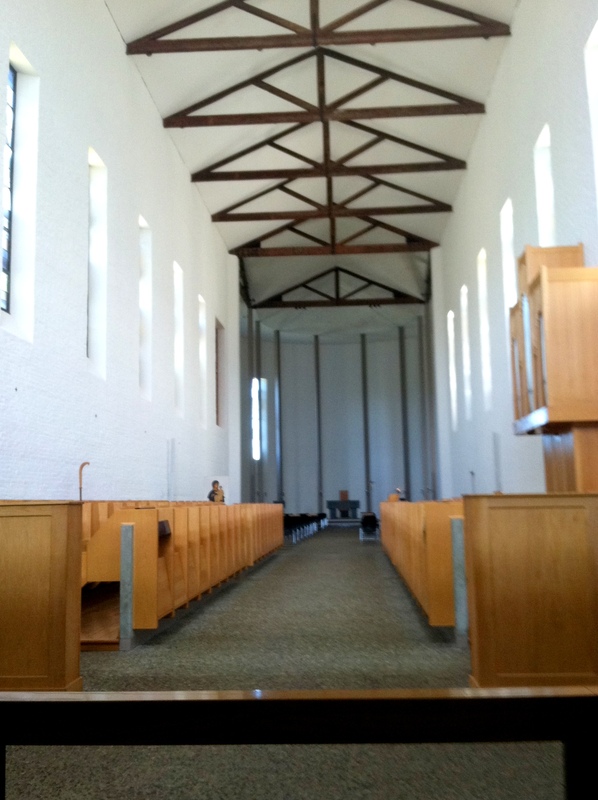 The Abbey of Gethsemani is a monastery of the Cistercian order of monks who “lead a life of prayer, work, and sacred reading, steeped in the heart and mystery of the Church,” according to their brochure. It is through the methodical study of Scriptures and concentrated prayer regimen that monks here are able to explore more deeply what it means to live fully in Christ and discover the depths of the love of God and ultimately to share that love with the world. They are in a unique position to intercede on behalf of the Church and the world through their prayers in a tumultuous time when the average person does not take the time to slow down and pray themselves. This very fact hit me hard to realize that with all of the division that currently exists within the Church and uncertainly about its future as well as in the world in general with injustice and misunderstanding plaguing every corner of the earth, there are people whose job it is to intercede on our behalf. All of us, myself included, without these monks even knowing who I am, are being prayed for by men who have the strange luxury of being able to focus all of their life’s energy into that prayer. That’s a powerful realization and it brings extra gravity to my own personal prayers, knowing that these men center their life around such a gift, to come in contact and communicate with God. It brings extra vitality to the need to embrace what a true gift it is. The Abbey’s most famous monk was Thomas Merton who lived there from 1941 until his death 27 years later during which time his prayer and study led him to become one of the most respected theologians of the 20th century. His works focused on interfaith truths and social justice and have drawn connections between a number of world religions including Buddhism and Native American beliefs, from a Christian viewpoint. He studied Eastern religions as a way to draw himself deeper into the human experience which he considered being at the core of his own beliefs as a Catholic. Merton’s work has been credited as giving rise to an explosion of spiritual exploration in the 60’s and 70’s and continues to inspire and inform seekers of all backgrounds to this day. His grave is placed in the cemetery right outside of the monastery in Kentucky, but his legacy continues to live through the many who have been touched by his writings to plunge the depths of the human soul and rise to seek justice and peace for all on the planet. Although most of the property of the Abbey is off limits to the public and reserved for the monks, they do allow the public into the sanctuary and invite anyone to join them for their daily prayers. I was blessed to be at the Abbey just in time to witness their afternoon prayers inside the beautiful, narrow sanctuary. 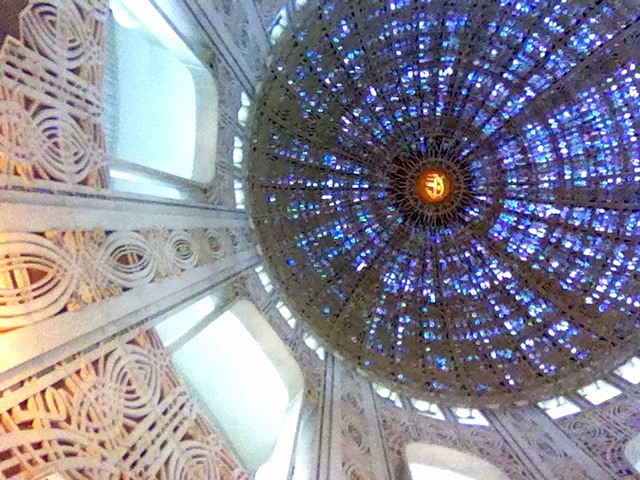 I sat there for a few minutes alone before the monks entered, meditating in a silence that was even more intense than what I had experienced at the Baha’i Faith Temple the week before. When the time came for the prayers, the monks came in one at a time, in complete silence, and took their places. Once everyone was there, with no fanfare of any kind, no speaking or instructions, they simply stood and began singing in unison a cappella. I naively expected it to sound like one of those Tibetan chanting monks CD’s that you find next to the spa music in some holistic health store. But as soon as they started singing, it was clear that their goal was to pray, not to sing. This is not to say that they were bad at singing, it was just clear that they were not concerned with how they sounded to anyone but the Lord that they were praying to. The authenticity with which they sent their voices up and sincerity with which they sang each word filled that simple space with a Sacred Presence so palpable that no one could deny that the Spirit was active in their prayers. It was refreshing in a world where so many churches have turned praise into performance and the singing becomes empty when authenticity is sacrificed for entertainment. There were no fancy lights, or instruments, no hipster glasses or skinny jeans, no frills, no show to be put on, just pure honest praise that ushered in a more powerful worship experience than any modern service could offer. For four simple songs and fifteen simple minutes, I witnessed a group of men unified with one simple goal of praising the God that they loved and inviting him to work through them in this world. 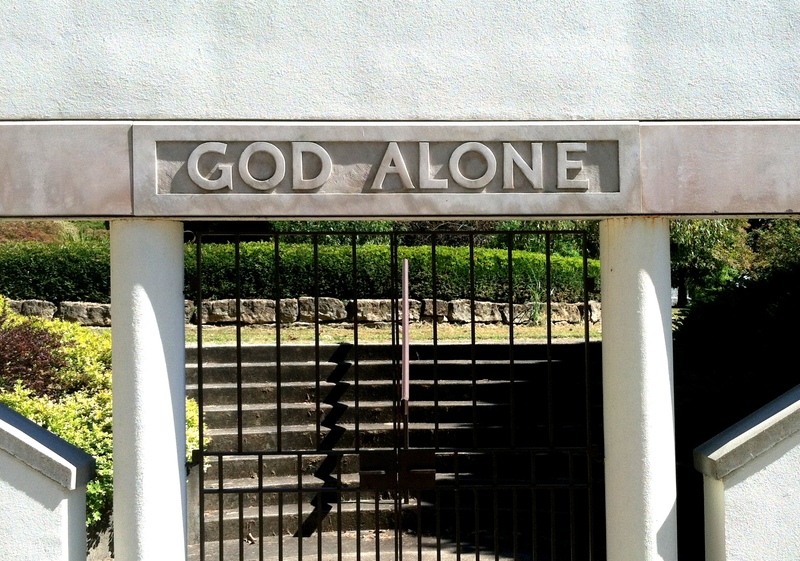 Everyone in worship services always claim that they’re there only for God’s glory, but I never really believed it fully until I saw those men consumed by it so purely at the Abbey of Gethsemani. 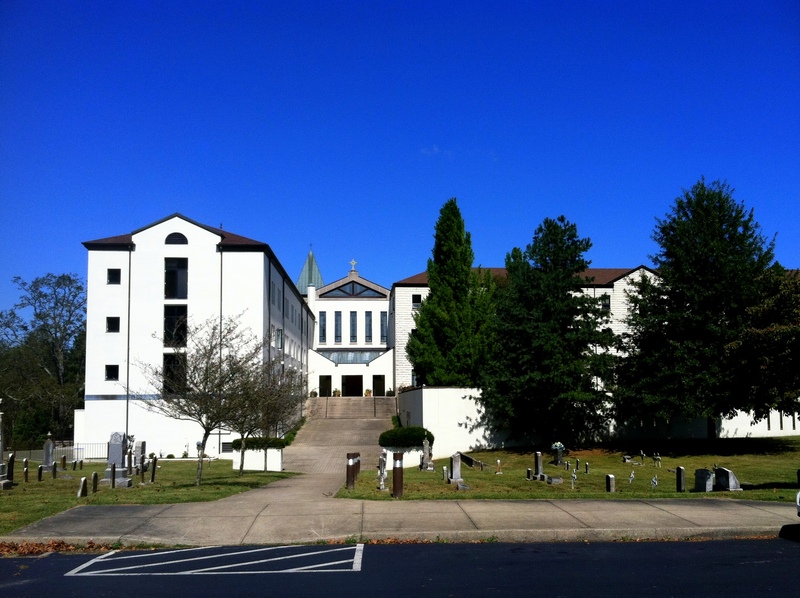 After my short visit, I have to admit that I left the Abbey of Gethsemani thinking to myself, “I could be a monk for a while”. The revelations offered through the lifestyle the monks live there and the unadulterated experience that is offered through such a simple and direct encounter with something so Holy is so undeniably attractive that it certainly makes one question why everyone doesn’t commit themselves to such a life at least for a while. But I’m afraid I won’t have the courage to trade in my Levi’s for a white robe any time soon. I will, however be reading more Thomas Merton and doing what I can to walk through life with a more conscious appreciation for both the opportunity for solitude as well as the gift of relating to the rest of humanity. 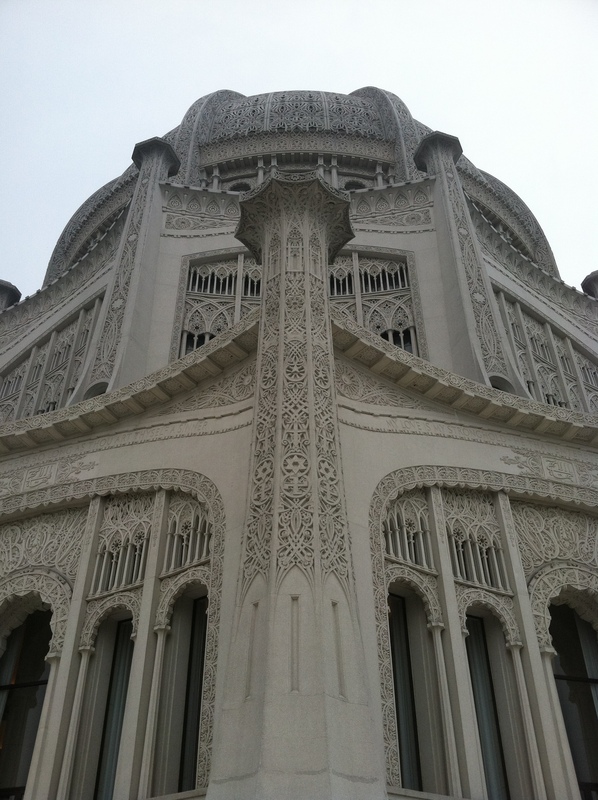 This post is part of my Pilgrimage series where I write about places as I check them off of my Sacred Spaces Bucket List.